Rock Salt & Ice Control HQ and The Duke Company’s Bulk Rock Salt facility located in Rochester NY. Got Salt? We do! Rock Salt & Ice Control HQ and The Duke Company is one of the largest bulk rock suppliers in New York. Call 585-292-9870 and 607-347-4455 for best prices, accurate price quotes and fast delivery. Whether you are looking to buy in bulk, wholesale, by the ton, truckload or bag, our team is available to assist you. 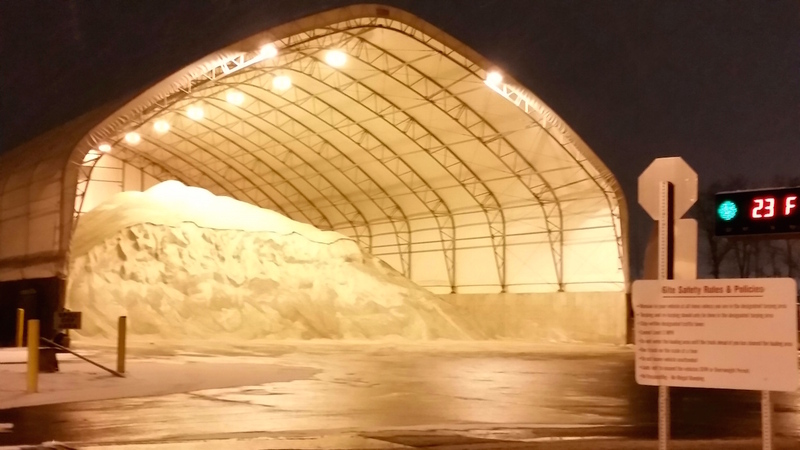 Rock Salt & Ice Control HQ and The Duke Company offer convenient pick-up at our state-of-the-art- salt barn located in Rochester NY. Our advance scales make sure that you only pay for the quantity that you order and pick-up. Our bulk rock salt delivery trucks delivery through-out NY including: Albany NY, Binghamton NY, Buffalo NY, Ithaca NY, Kingston NY, New York NY / NYC and beyond.